Reminder that the first induction day for our new primary 1 pupils is on Wednesday 25th April at 9.30 am. This entry was posted in Uncategorized on April 23, 2018 by Miss Ford. Our Primary 7’s have arrived at Kilbowie. We hope they have a great time. This entry was posted in Uncategorized on March 19, 2018 by Miss Ford. Due to the weather, all North Lanarkshire schools and nurseries will be closed tomorrow – Friday 2nd March. This entry was posted in Uncategorized on March 1, 2018 by Miss Ford. Due to the severe weather warnings, all schools and nurseries in North Lanarkshire will be closed tomorrow – Thursday 1st March. This entry was posted in Uncategorized on February 28, 2018 by Miss Ford. All North Lanarkshire schools will be closed today (28.2.18) due to the weather. Amber warning in place – please stay safe. Would you like to include the option of red polo shirts / red tights to our current uniform? Visit the website below to answer. This entry was posted in whole school on February 22, 2018 by Miss Ford. During our mini Topic about Scotland, we learnt about many Scottish landmarks. One of them was the Forth Bridge. We looked at pictures of the bridge, wrote facts about it and then worked in teams to construct our own bridges. This entry was posted in Uncategorized on January 23, 2018 by Ms Watt. 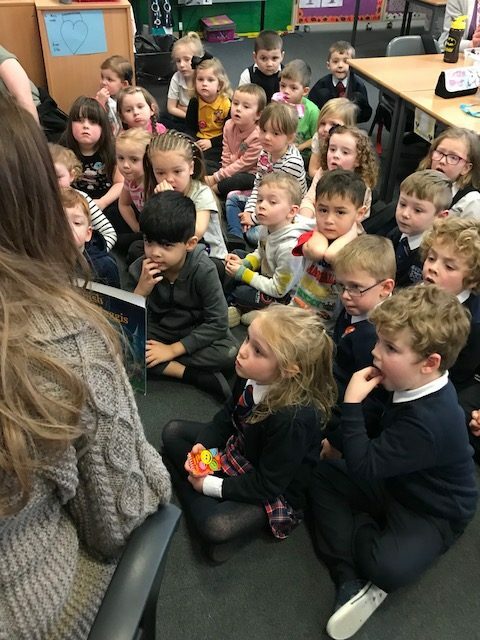 On Tuesday our morning nursery children enjoyed a shared reading activity with our Primary 1a class. This entry was posted in Uncategorized on January 17, 2018 by Miss Ford. 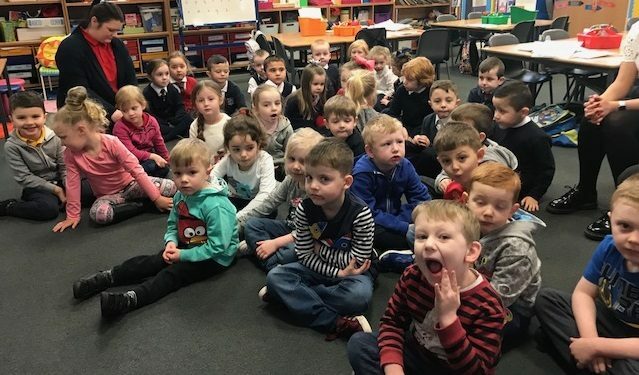 On Monday our afternoon nursery children enjoyed a shared reading activity with our Primary 1b class. This entry was posted in Nursery, Primary 1, whole school on January 17, 2018 by Miss Ford.